Copyright 2010 Follow Joy. All Rights Reserved. 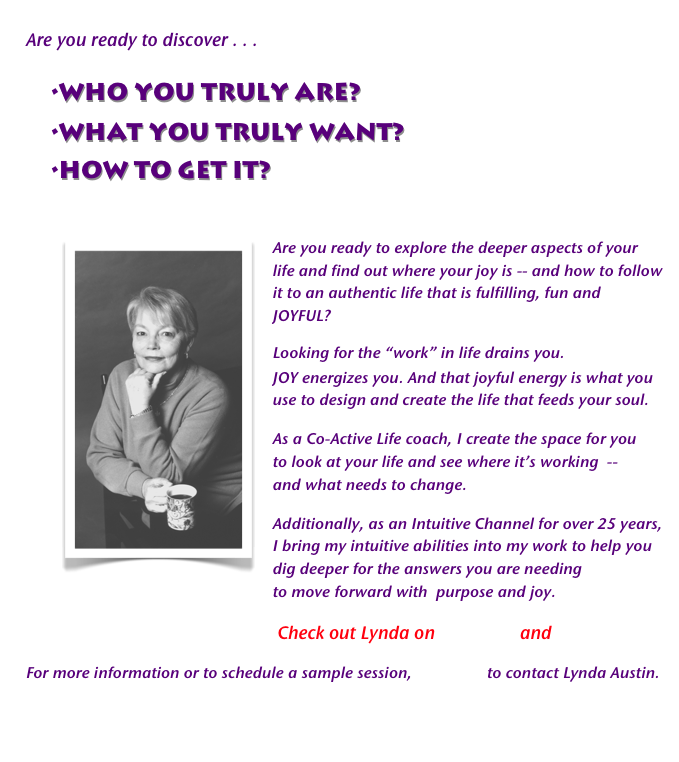 To receive the FREE “ESSENCE OF THE WEEK” update from Lynda on what we see happening in the energy and the community, along with the support of channeled wisdom from Essence -- click here.